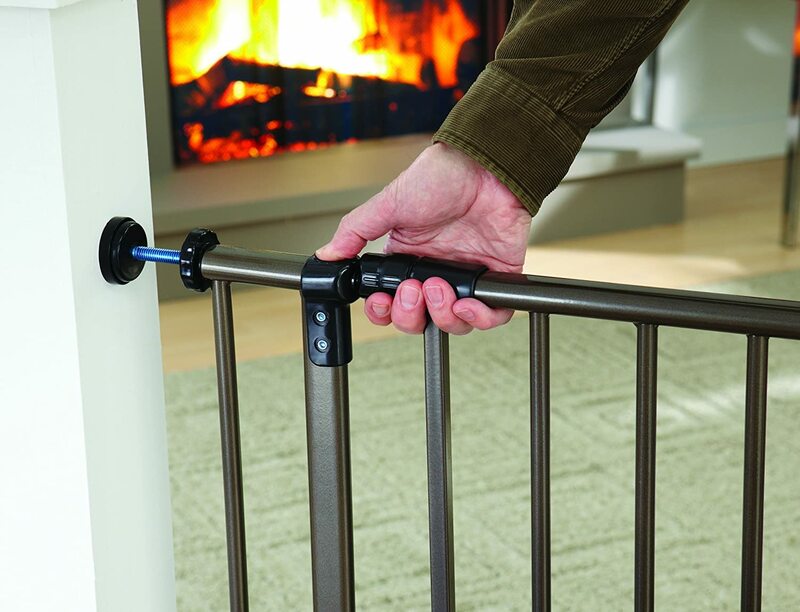 The North States Supergate Extra tall easy close gate metal keeps your child or pet always safe and secure. Gate swings open both ways and offers triple locking system with easy one hand operation. Gate is 36" high and fits openings 28" to 31 .5" wide. Expands to 38.5" wide with two extensions included. Gate is pressure mounted and easy to install using tension knobs to secure the gate in opening. No hardware required. Ideal in a variety of room openings or at the bottom of stairs. Designed in a bronze powder coated metal construction, the North States Supergate Extra tall easy close gate metal will give you a lot of durable service.